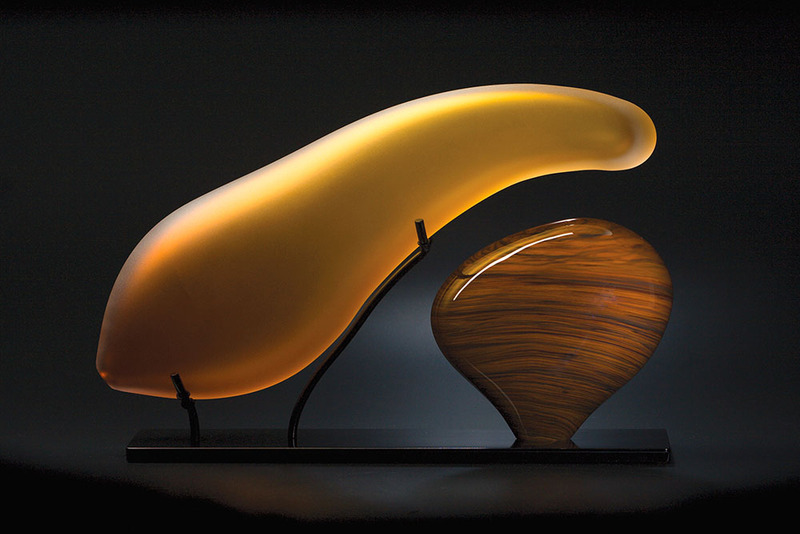 Art Glass Sculpture by Bernard Katz from the Hozhoni Series, “The Bikeya” depicts the beauty between mother and child. The mother is watching over the child (mother earth in Navajo language). The blown glass forms have been cold worked and sandblasted.A custom metal display stand is part of the sculpture.